Come on we’ve been waiting for him for a year… Are we really supposed to impress the old man with the same old red and green table setting combo?… As we say where I come from… Mais Non! Non. 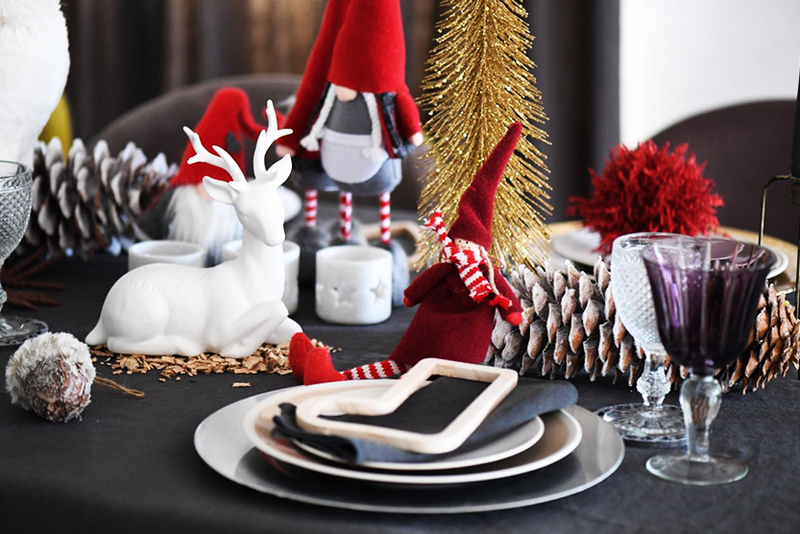 Let’s amaze the white beard man with our Nadiresque table setting… Who knows, we may be extra spoiled for that… And having diner at this table is already a treat in itself! 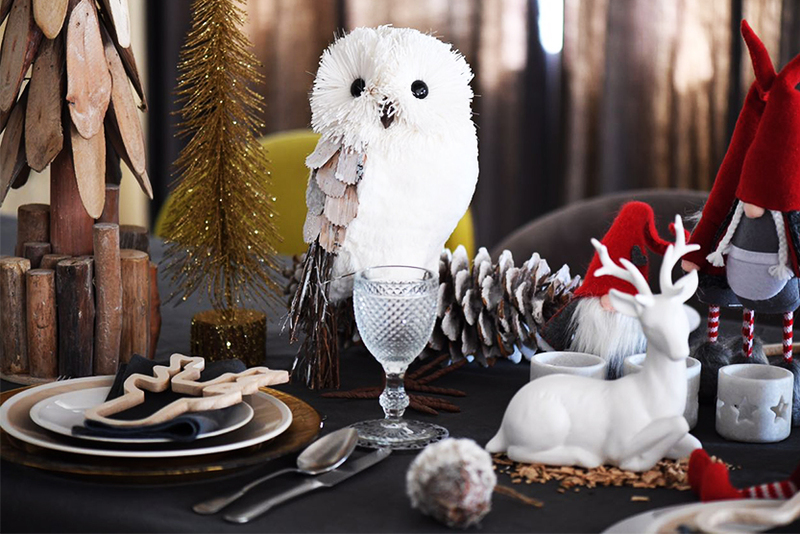 Guess what, Nadira teamed up with Nadia, the owner of The Den to create this dreamy, joyful, arty Christmas table full of fantasy. Those of you who know the two characters are getting excited, and those who don’t will get excited in a minute. Just have a look! 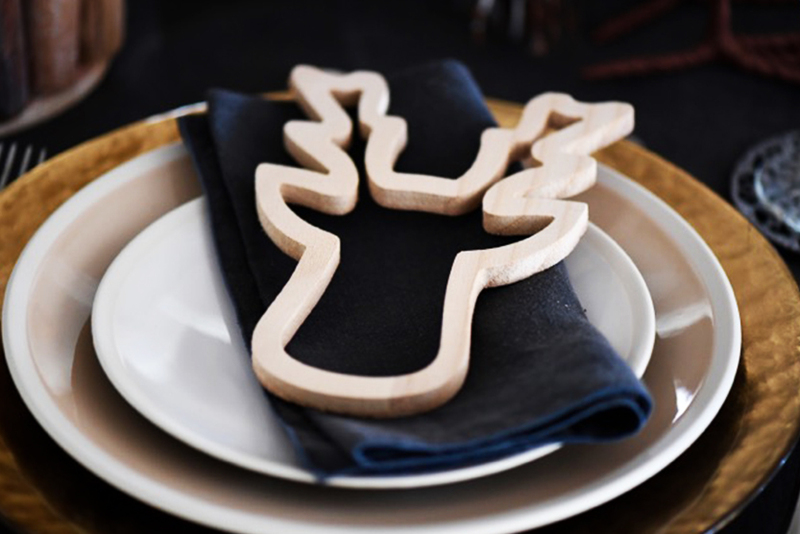 A chic dark tablecloth to set a dramatic background, The Den plates, tree decorations in natural colours and materials spread out across the table, deer Rudolf as a table place card, a The Den deer laid in the middle of the scene as a centerpiece… A bit of gold, and you are done. Did anyone cook the turkey whilst our artists where setting this picture-perfect table? Come on Santa, look at the super special table setting we’ve done for you… Would you have anything special for us in your sack by any chance?